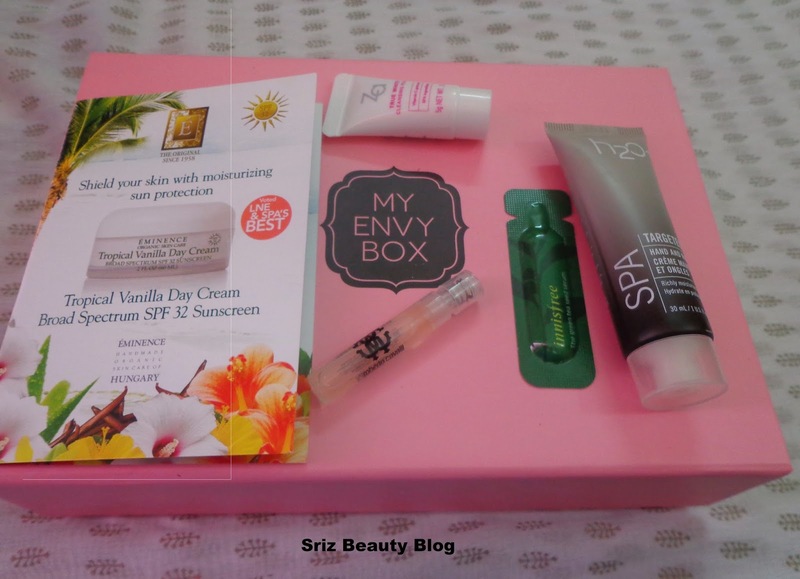 Its my favorite time of the month,the Envy Time.....the time for Unboxing 'My Envy Box'. Last Month April Envy Box was a huge success and lets see what this May Month's Box is !!! 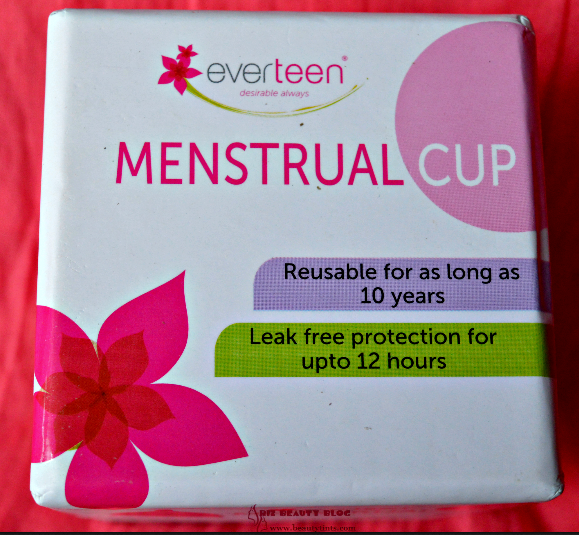 Like last month, this May Envy Box also came in a pretty PINK colored sturdy box and the products are packed in a cute black colored cotton pouch .The box itself is strong enough and secure,still My Envy Box takes all the extra effort in packing the products double secured in the pouch. 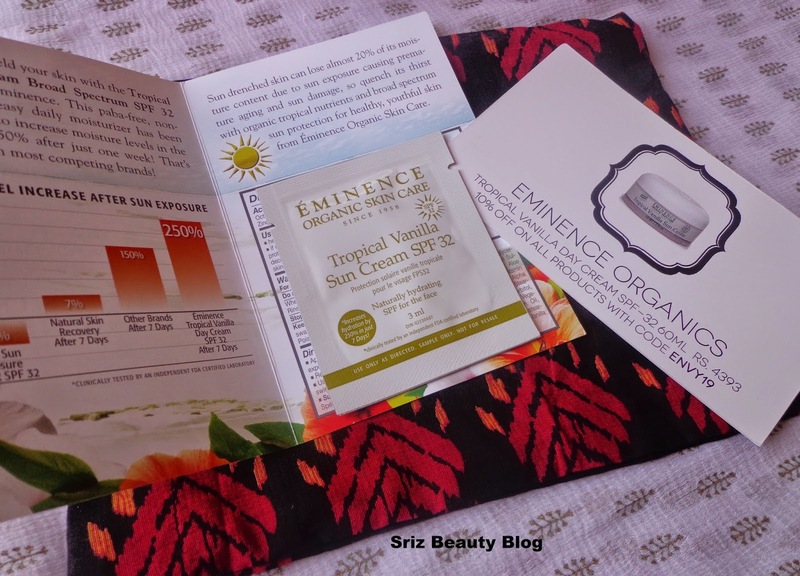 1) Eminence Organics Tropical Vanilla Day Cream Broad Spectrum SPF 32 Sunscreen (3 ml) : Rs. 4393 for 60 ml : Which is a great product, which acts as a daily moisturizer as well as Sunscreen. I am excited to try this out asap. 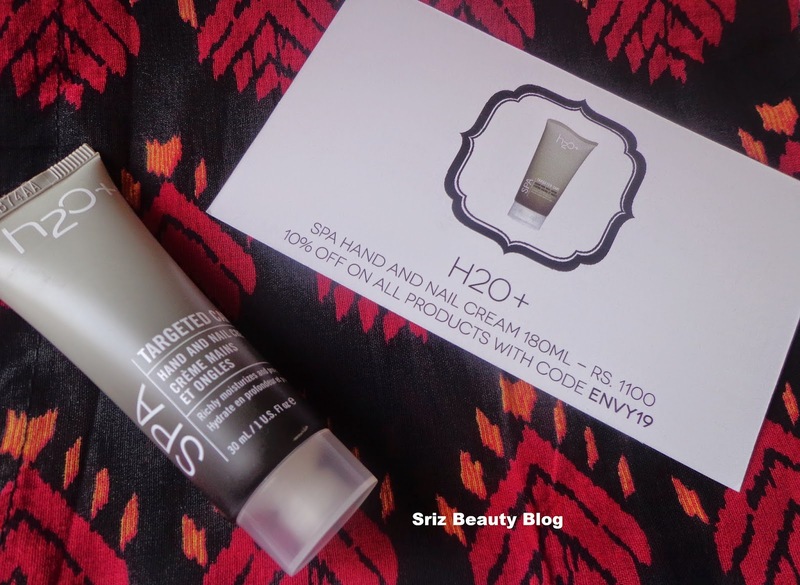 2) H2O + SPA Hand and Nail Cream (30 ml) : Rs.1100 for 180 ml :Like last month,this month also this H20+ sample is of generous size. 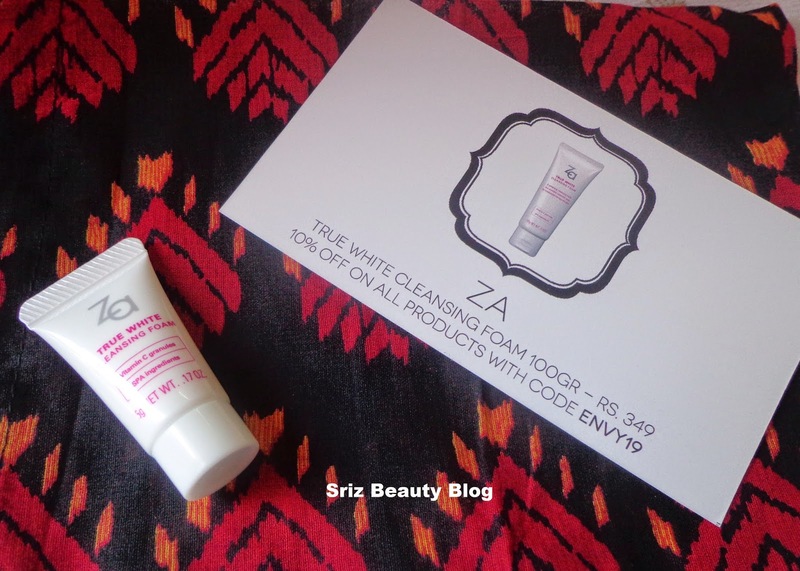 I always love to receive face wash samples,as they are very comfortable to carry around during travelling.Last month I have received the day cream from ZA,which I liked so much.Happy to receive cleansing foam this time. Wish the Sample size could be little bigger. 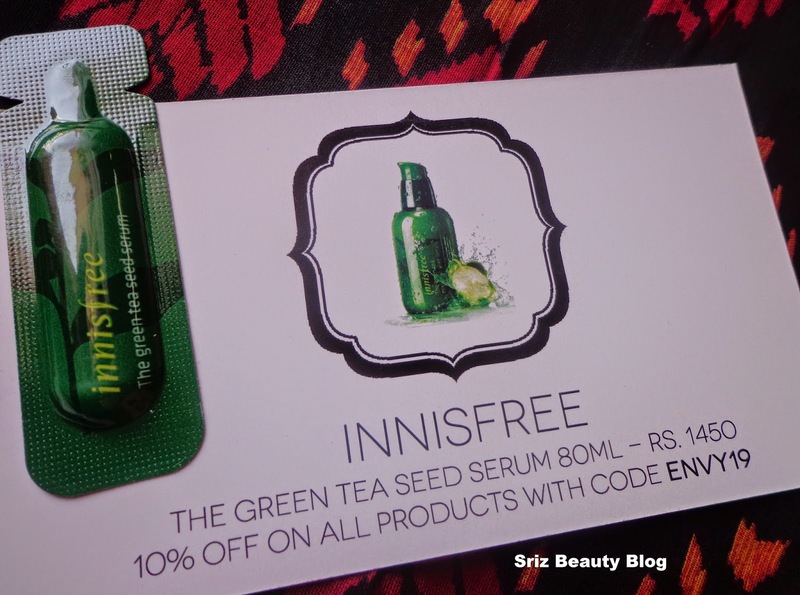 I am quite happy to receive Innisfree sample for the first time,as I have missed it in March Edition. I am very excited to try this Korean brand. But the sample size is too tiny,which may last only for 2 uses. 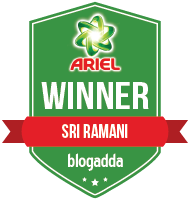 Happy to receive Vial instead of rub on cards.I have already used it yesterday,which is a woody floral fragrance:feminine,sensual and sophisticated. 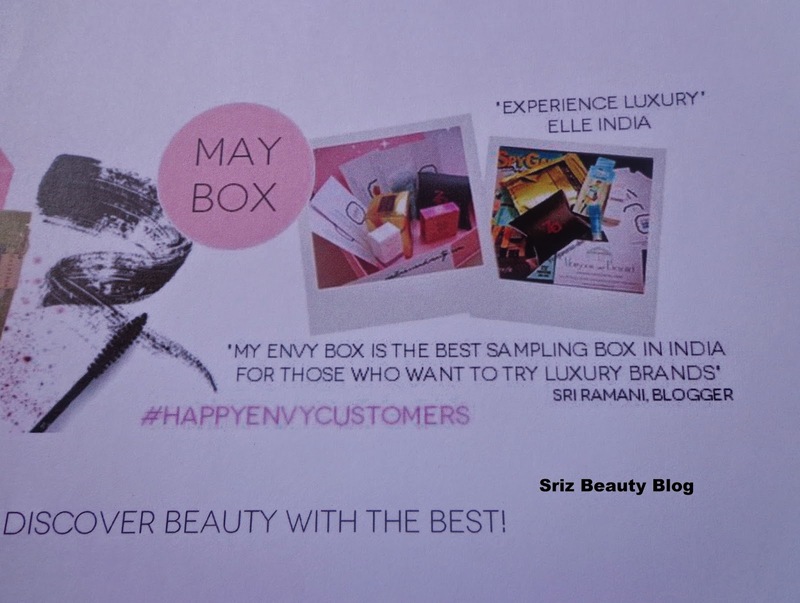 And the best part and special part of this May 'My Envy Box' is to see my review and name on the brochure. 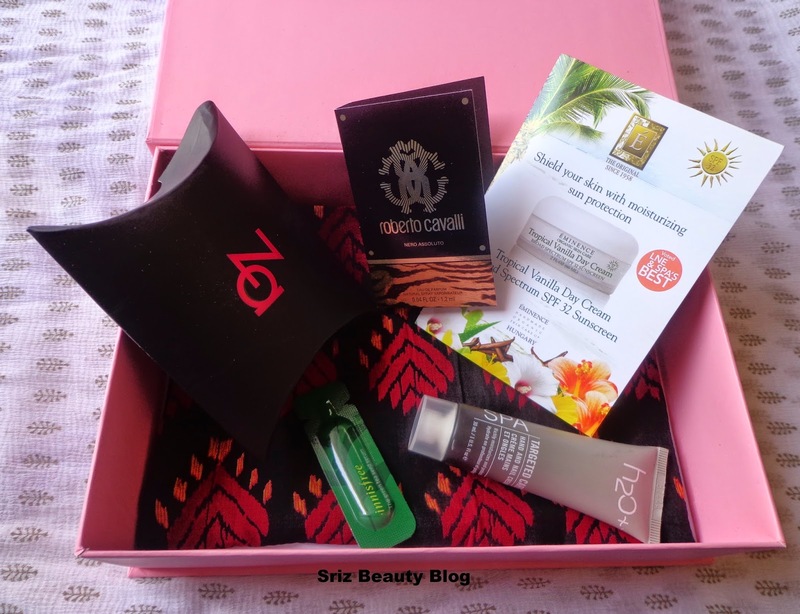 Final Conclusion About 'My Envy Box' May 2014 Edition Review : Like every month,this month also I am quite satisfied with the products that I received in this May Edition of 'My Envy Box'. 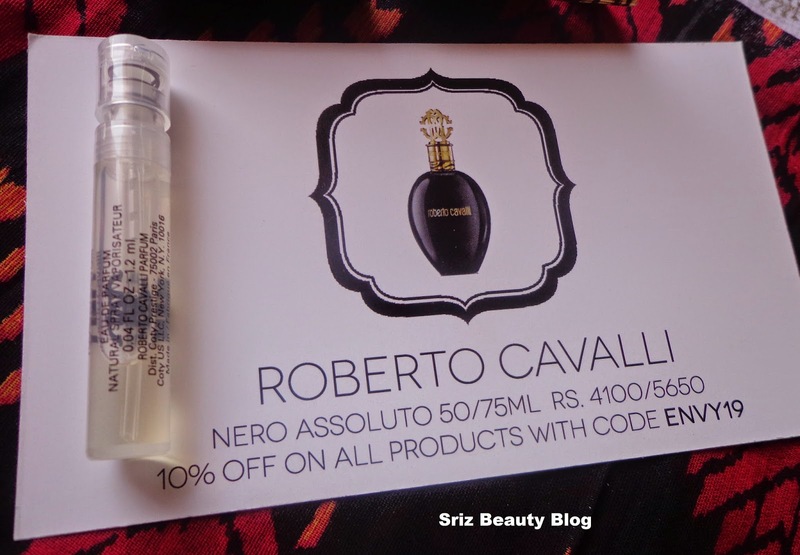 They are coming up with new luxury brands every month,which is the best part of this subscription box. Though the sample size is tiny, I am happy to receive the Innisfree sample this month.Hoping to recieve much more samples from new luxury brands in the coming Month's Box.